Your entry door is usually the main access point to your home so it’s important to maximize its security. 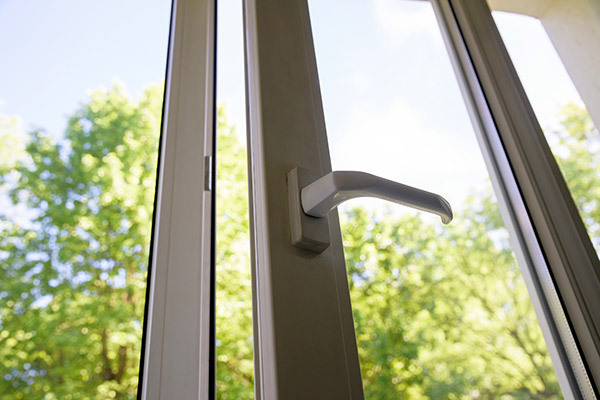 Along with having a strong entry door, you need to have durable and reliable entry door locks. 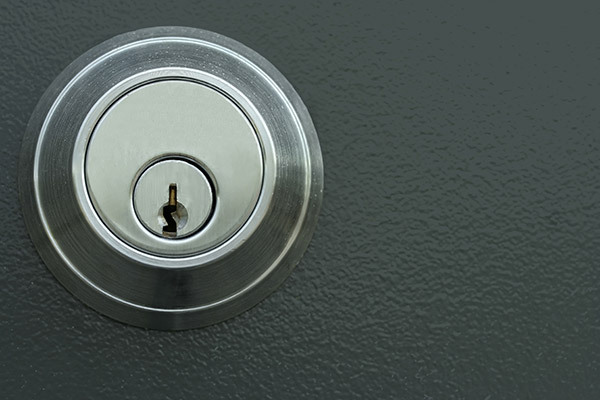 There are many different things you should know about your entry door locks to make sure you’re getting the best for your home in Green Bay. Let’s get started. Door locks can come in a variety of different styles and they all have features unique to them. 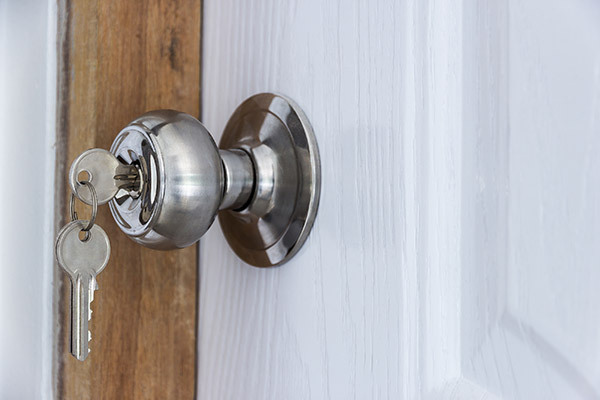 From ordinary door knob locks to more complex smart door locks, it’s important to know the differences so you can get what suits your home’s needs the best. 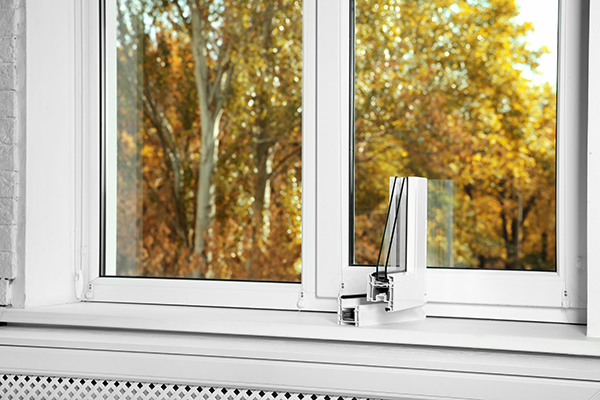 Handlesets are usually the more elegant entry door locking systems. They’re more decorative and are often found on front doors with curved or specialty glass. They don’t only offer great looks, though. Handlesets have great security as well. An entry door handleset consists of some sort of deadbolt on top and a door knob lock on bottom. Lever handle door locks are perfect if you’re in-and-out a lot and are easy to use if your hands are full. You simply push down the lever to open them. These locks are more durable than traditional door knob locks but you should still use a deadbolt with them because the lock cylinder is in the handle. One of the most common entry door locks is the deadbolt. They offer some of the best security because you can’t open them by breaking a lever or knob. 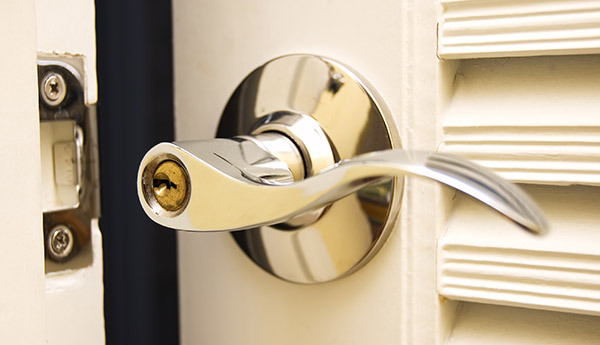 Door knob locks are found on the majority of entry doors, but shouldn’t be your front door’s only form of security. Knob locks contain the lock cylinder inside the knob itself. If the knob is broken off there’s nothing left to keep the door locked. When paired with a deadbolt lock, the two make for great entry door security. It’s better to be safe than sorry. When home intruders see that your door is securely locked with a knob and deadbolt, the chances of them breaking in are greatly reduced. As technology is rapidly expanding, newer and better ways to secure your home are being created. 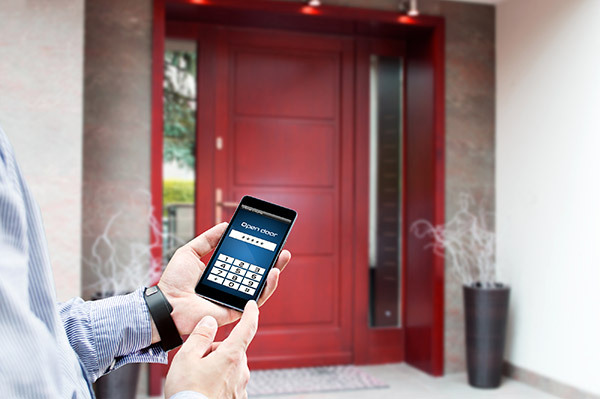 Smart door locks are on the rise as it seems almost everyone has a smart phone nowadays. Smart door locks are synced with your phone or tablet and can be monitored from wherever you have it. You can also keep track of when and how many times your door has been opened. Another way to increase the security of your entry door is by installing a door guard, also known as a door chain. These technically aren’t locks because they allow the door to open only a few inches. They’re installed on the inside of the door and have a chain that connects the door to the frame. They add an excellent layer of security to your entry door because they can’t be picked. Entry door locks are graded based on their security. The American National Standards Institute (ANSI) determines the grade of the lock by strength, durability, mechanics and overall quality. 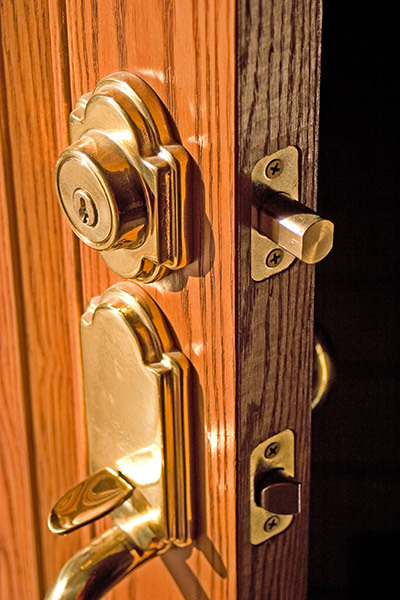 Entry door locks with a grade 3 rating are the most basic level of security for your door. 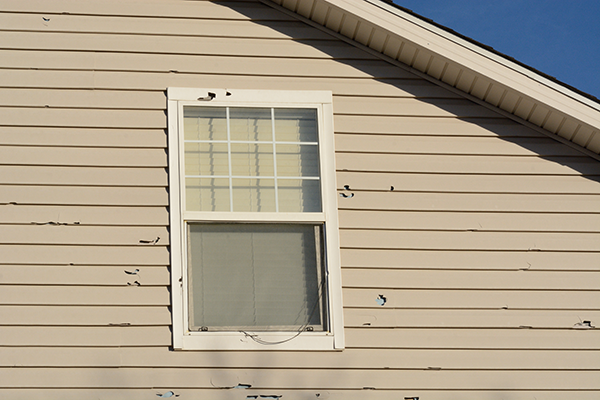 These are still solid locks but shouldn’t be the only form of protection on your front door. Grade 3 locks are perfect for complementing your entry door with an added layer of security along with a deadbolt or door guard. A step above grade 3 locks, grade 2 locks offer an improved sense of security to your entry door. These locks are most commonly found on residential homes as they provide enough security to be your home’s main entry door lock. Grade 1 entry door locks have the highest level security. 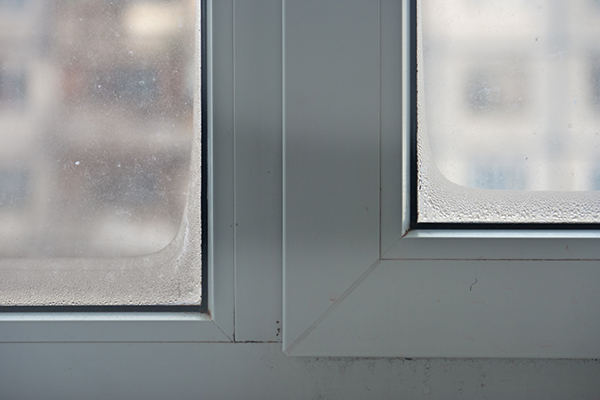 They’re often found on commercial buildings but can still be used for residential purposes. With great security comes great price, however. But it’s money well spent as you can’t put a price on your family’s safety. Your home’s main access point should be properly secured to protect your family and other valuables. Deadbolts are an important addition to your entry door when combined with a knob lock or lever lock. You can further improve entry door security by installing a door guard or even a smart lock. When you combine a great locking system with a beautiful and strong entry door, you can rest assured knowing your home is properly protected.